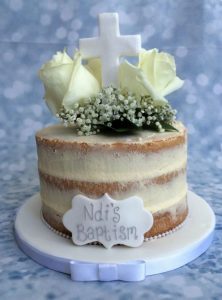 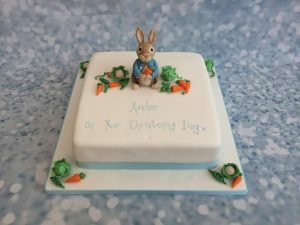 A simple religious cake to celebrate your baby boys Christening. 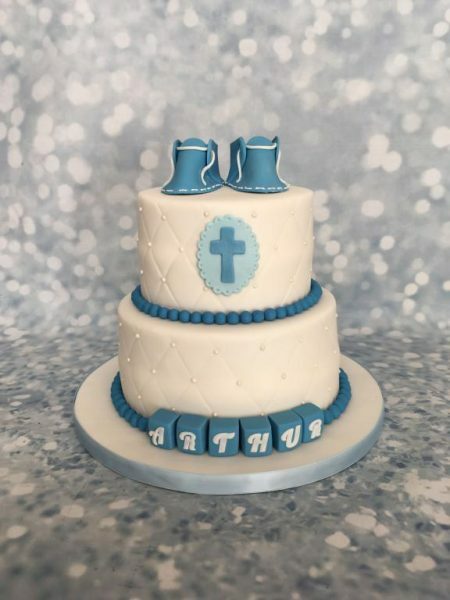 This cake is a deep tier 6″ & 8″ round with handmade blue booties and religious blue cross plaque. 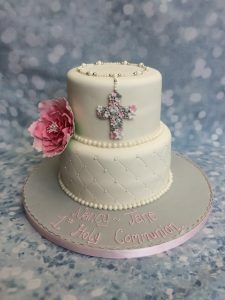 Each tier has a gorgeous quilted effected which is embellished by edible pearls with hand rolled blue balls around each base. 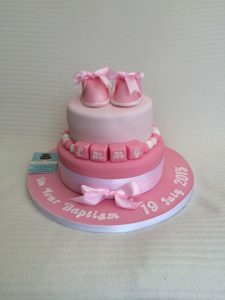 The cake is finished with alphabet blocks spelling out the name of the baby.